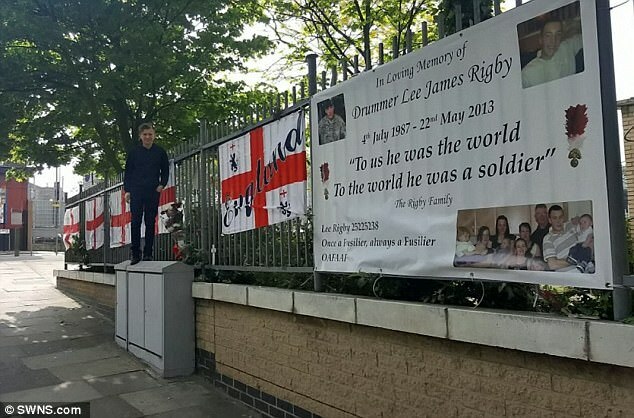 The unofficial shrine to murdered soldier Lee Rigby has been removed by a local council because it is ‘unsightly’. Flags, flowers and banners occupied the spot opposite the Royal Artillery Barracks in Woolwich where Fusilier Rigby was killed by Islamic terrorists Michael Adebolajo and Michael Adebowale in May 2013. But Greenwich Council removed them yesterday because local residents had complained they looked ‘weathered and worn’.